WE PAY ATTENTION TO OUR CUSTOMERS, HAVE THE BEST SERVICE AND TOP EQUIPMENT AND SECURITY! Get your wings with our selection of flying lessons! If you've ever dreamed of being a pilot or just want to have a go at the controls an aeroplane, you've come to the right place. You will be taking to the air in the famous Cessna 172 from a fully EASA Approved Training Organisation. Many use this four seater aircraft, it does mean you can usually invite someone to join you as a back seat passenger for your flight. 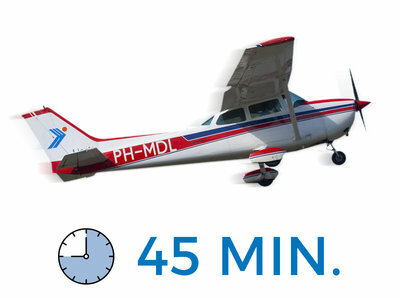 Duration of flight in the program: 20 minutes tot one hour or even more. Only at Lion Air, from starting the engine till shortly before landing your will control the aircraft all by yourself!! This experience you will never forget! More information you will find on our website. 7 / 7 08:00 - 20:00. During daylight in the summer, we fly also in the evening.